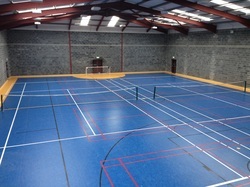 2 full size tennis courts indoors in Aughrim village! Monday mornings during school term. Please call David (0878166525) to book or for more details.